I think maybe because of that, it’s not much an issue whoever the person is here as they see themselves as the people of Sarawak more. Anyway, I still wanna keep that habit of mine. 😛 That way, I can learn to speak more language/dialect especially the Sarawak Malay dialect. Oh, and maybe next time, I can try this.. Okay, maybe not french, no one speaks that here. Posted on May 16, 2012 by Jian Akiraceo. 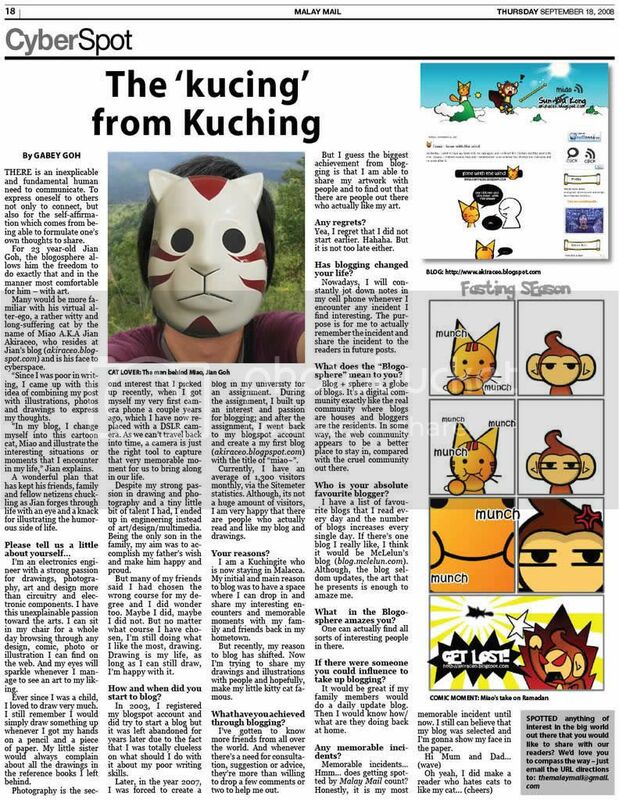 This entry was posted in Outdoor and tagged bahasa sarawak, china embassy kuching, comic, dayak, Kuching, language mixed up, miao, multiracial, sarawak malay. Bookmark the permalink. How come u no speak chinese to me? Hahaha i call SPCA later.. This happens to me in kl all the time!!! Lol what does that ‘comment’allez vous’ means? Borneo people are pretty. May be because the mixed too much. i have few sarawakian friends who are really pretty with fair complexion! 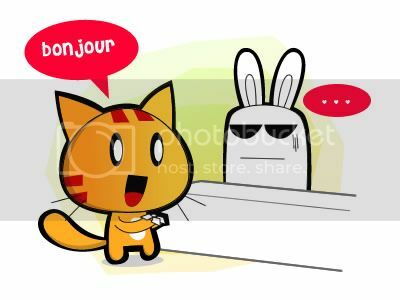 im learning french, but sadly french doesnt really useful in malaysia. woahh.. how to say thank you and where is the toilet? my dayak friends all either speak hokkien or english with me. It always happen to me too while i working in hospital~ LOL~ yeah, kinda confuse to our unique face features on how we know what language we should use…Humans face are tricky to predict. 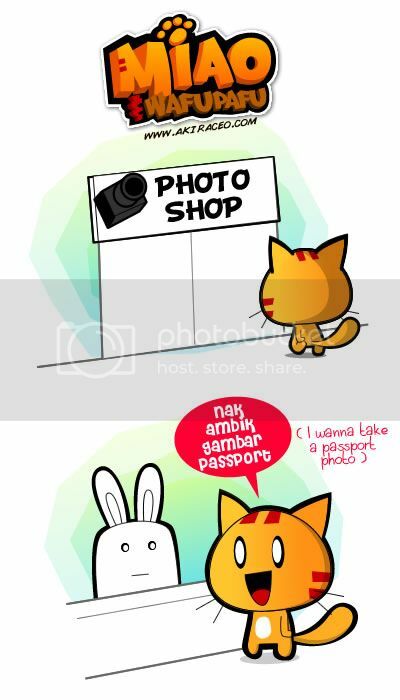 XP.. ahahahah..
hahaha you mean when you’re here eh? 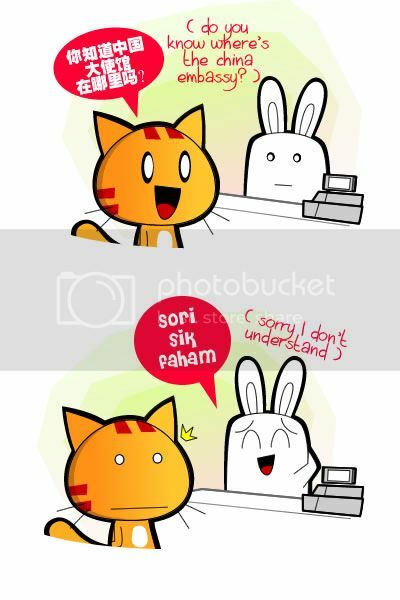 Coz a bunny is easier to motionlize with it’s body structure and bunny is for anonymous and not sarawakian. Still learning T3T I have been away for almost 9 years and before this, my Dayaks friends all speak in Mandarin, English and Hokkien with me. And some fair skinned Chinese looking might not be Chinese too. My friend also have a very dark skin, people is shock when he speaks in Mandarin. I’ll stick to English or Bahasa. since I don’t know any other. hehe. If you speak to me in Mandarin/Cantonese, I might be able to answer you back correctly, in Bahasa or English. hehe. I can somewhat understand Mandarin/Cantonese (thanks to watching Chinese dramas as I grew up) But I can’t really speak in that language. Lol.. I am mixed, Am I pretty? lolol… I think if you meet me, you’ll be speaking Chinese with me. It’s almost always that Chinese people thought that i’m Chinese. Some Melanau do have a strong resemblance. Uh hum, some Melanau do really looks like Chinese. Used to study in UNIMAS. we usually speak Malay first no matter who we meet. when they speak another language only we go ” au” then change to another language. but mostly sarawakian are laguage genius. Any thing we speak they understand. Ich spreche Deutsch,du spreche Deutsch?